Cusco, Peru is one of the greatest places on Earth to discover the unknown. 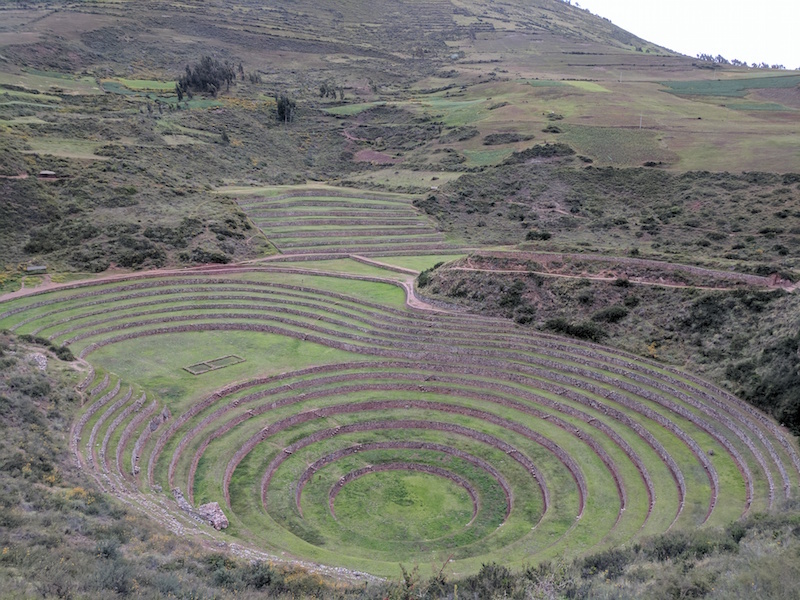 Here are your Cusco Peru Guide and simple tips to save you time, money, and keep you save while being in one of the best places in the world. You have checked out the Cusco Travel Guide and you are making the list of Day Trips from Cusco, now here are a few Things to Know about Cusco, Peru as you make that final list to prepare your trip. Or it is just some fun facts to look over to give you a bit of insight on this unique place in the mountains of Peru. Podcast 30: Machu Picchu and Cusco, Peru (Bucket List Journey). Transportation– Transportation in and around Cusco is very easy and safe. The main mode of transportation is taxis. Taxi fare around Centro costs around 3 S/ ride ($0.92 USD). Once you get outside the main Centro the price goes up a sole or two. We stayed about a 2-mile walking distance from the main Centro and the maximum price we paid for a taxi was 6 S/ ride during an evening ride from a pub back to our Airbnb ($1.85 USD). Also, it is not uncommon for a taxi to NOT have a meter inside of their vehicle. This is normal in Cusco. Just remember to always give the address of your final destination to your taxi driver and ask how much your ride is going to cost you prior to entering the taxi, “Cuanto cuesta?” (if your Spanish speaking capabilities are not good, you can always write down your address and hand it to your taxi driver). There are taxi drivers everywhere in Peru. You can very easily hail a taxi from the main Centro, in front of the supermercados (supermarkets), hotels, and main tourist attractions by simply reaching your hand out in the air as you would in the States. You can also easily obtain a taxi cab as you are just walking down the side of the street; you will hear the taxi drivers honking their horns at you as they drive by. Usually, this is an indication to you that they are available to drive you or this may be a warning to you or others around you to move out of their way as some streets in Peru are very narrow and crowded with tourists and stray dogs. Safety – Cusco is a very safe city, walking in and around Cusco is the best way to see the city and see all the little side streets, stores, restaurants, and artisan stands the city has to offer. As always follow common sense rules; be alert and organized, stay in main tourist areas, watch your valuables if you have them on you, and if you have been drinking alcohol take a taxi home instead of walking home. Travel Tip: If you know you are going to be walking at night, grab your High Powered Handheld Flashlight. It helped us in dealing with the dogs and seeing the cracks in the road. If someone approaches you, a quick flash of this light we make them back off or redirect. It is a great tool and a potential conflict avoider. Find this and other tools we use on our Travel Tools page. Food – There are many options for dining located throughout the entire city with most of the restaurants and bars concentrated in and around the Plaza de Armas (central square). Local delicacies include “cuy” (guinea pig)…no they are not pets in Peru, varieties of alpaca meat (alpaca burgers, alpaca skewers, etc), maíz (corn), and a variety of potato dishes (Peru has over 3,400 different types of potatoes). Other typical Peruvian dishes are lomo saltado (stir-fried beef), aji de gallina (creamy chicken), and ceviche (seabass, lime, onion, salt, chiles). Altitude Sickness – It should be noted that the high elevation (3,400 m/ 11,155 feet) of Cusco causes altitude sickness in some travelers. Altitude sickness varies from person to person. Primary symptoms of altitude sickness include a headache (could be confused with dehydration), gastrointestinal disorder (nausea, vomiting, loss of appetite), fatigue, dizziness, weakness, shortness of breath, and rapid pulse. The best way to avoid altitude sickness when hiking is to ascend SLOWLY. In the case of Cusco, it is suggested to allow your body time to acclimate to the altitude. Eating coca leaves and taking Advil (Ibuprofen) for headaches associated with altitude sickness helps. It is suggested to allow 2 to 3 days for your body to acclimate to the altitude prior to any major hike or trek. Cusco Tourist Ticket- When you arrive, if you plan on visiting the ruins and top tourist sites in and around Cusco, it is highly suggested that you purchase a Boleto Turisto del Cusco (Cusco Tourist Ticket). This ticket can be purchased from any of the city’s municipal tourism sites or a travel agency and allows you to visit the 12 historical/archeological sites in and around Cusco. The cost of the ticket is $130 S/ person ($43 USD) and is good for 10 days from the date of purchase. This ticket saves a lot of money as opposed to paying for each individual site’s entrance fee separately. Note: each site can only be visited once and the ticket cannot be shared. Artisan Markets – There are many artisan markets in and around Cusco. Know that the quality and price of products can vary from market to market. On one of our tours, our guide gave us a breakdown on how to tell the difference between real alpaca products (sweaters, scarves, tapestries, etc. ), which tend to be cool to the touch, heavier, softer and warmer vs. a mixture of alpaca and synthetic fibers and/ or cotton blend. She also explained how to tell if the threads of your product are truly colored from natural dyes (plants, roots, insects, flowers, trees, etc.) which lends to your fabrics having a muted color with a longer, lasting color-life vs. being dyed with brightly colored, synthetic dyes (man-made petroleum by-products and earth minerals) causing your fabrics to fade over time and appear fluorescent in color. Know that if a price is too good to be true, it usually is. You get what you pay for. Accommodation – Accommodation in Cusco is offered in every price range. From 5-star luxury hotels (located mainly in the centro area) to budget hostels and many Airbnb options, Cusco is a tourist’s dream destination when it comes to lodging options. We chose to stay in an Airbnb via a host family that provided us a private room and private bathroom. This option really provided us the best of both worlds as we were able to have our own privacy yet acquire valuable knowledge about the city of Cusco, learn about the Peruvian culture, practice our Spanish with the family, and live in a safe environment. What to wear – Depending on what time of year you are visiting Cusco and what type of outdoor activity you are partaking in, will dictate what type of clothing you will need to pack/ wear. Peak tourist season is from June to September, during their winter when it is the dry season (rainy season is from November until March). January is the warmest month in Cusco with the average temperature being 11 C (52 F). The coldest month is July with the average temperature being 7 C (45 F). Nighttime gets chilly in Cusco and homes and hotels do NOT have central heating. Most people in Cusco stay warm by using alpaca and/or wool blankets and layering clothing. You can purchase space heaters in the markets but it is rare for people to have these in their homes. Make sure to bring appropriate hiking boots (if this is in your plans) and a warm coat (I wore my Patagonia Nano Puff Jacket on most days) if you plan to visit the ruins. I personally wore New Balance Trekking shoes that worked well for our hikes/ treks with no problems. Other items you may want to bring are sunglasses, SPF lotion, a hat for the days it is rainy, and a camera to take photos of the fantastic sites. As I mentioned, the nights are chilly, make sure the pajamas that you pack are warm enough! Water – Do NOT drink the tap water, even in major hotels and avoid drinks with ice. Bottled water in Cusco is fairly inexpensive. You can either buy agua sin gas (non-carbonated water) or my personal favorite, agua con gas (carbonated water). Haggling – This is a “normal” part of the shopping process in Peru especially in souvenir stores and artisan markets. A lot of times, there are no prices on items in the markets because of this. It is easier to haggle in Peru if you are buying multiple items from the same seller. Always remember that these people who are selling their items are trying to make a living and this should be a friendly negotiation. There are some crazy things to buy in the market. Toilet Paper – Do not flush toilet paper down the toilet. The city’s plumbing system cannot handle the toilet paper being flushed down the pipes and the paper will clog the toilet. It is common to see signs above the toilets in homes, hotels, and public places asking you kindly to throw away your used toilet paper in the small waste basket beside the toilet. Note: a lot of public restrooms are located in rural areas and frequently run out of toilet paper. I always carried a little bit of extra toilet paper in my pocket along with me to my excursions in case I needed some extra toilet paper to use for my restroom breaks. Shower – Be careful! Depending on where you are staying, you may not have a traditional shower head. Most shower heads in Cusco are electric shower heads which function by instantly heating the cold water as it flows through the shower head. When you see the shower head you will know immediately if your shower head is electrical or not. The shower head is connected to wires, which are connected to a heating device that heats the water as it flows through the shower head. Dangerous? Well…the shower valve/ knob should be plastic. However, most of the time, behind the plastic knob there is metal. From time to time, you may accidentally touch the metal and receive a slight shock. Also, know that with this type of shower head comes a lot of patience…if you want hot water, you will have to sacrifice good water pressure; the less water flowing through the showerhead, the less amount of water that needs to be heated in a short amount of time.